MANILA -- The Department of Justice (DOJ) on Monday said the guilty verdict against retired Maj. Gen. Jovito Palparan Jr. and two others for kidnapping and serious illegal detention charges means that justice is alive and attainable for victims of crimes. “Justice may come a bit late, but it does come. Let’s believe in that,” Justice Secretary Menardo Guevarra said in a text message. Meanwhile, the National Union of People's Lawyers (NUPL) lauded the court's ruling. "[Palparan's] conviction sends the message that cocky perpetrators of hideous human rights violations will meet their match in the fortitude of the mothers, the strength of the mass movement, the courage of human rights defenders, and the value of good lawyering for the people," the NUPL said in a statement. On Monday, the Malolos City Regional Trial Court (RTC) found Palparan, Lt. Col.Felipe Anotado Jr., and S/Sgt. Edgardo Osorio guilty of kidnapping and serious illegal detention in connection with the disappearance of University of the Philippines (UP) students Karen Empeño and Sherlyn Cadapan in 2006. Malolos RTC Branch 15 Judge Alexander Tamayo sentenced the three to reclusion perpetua or imprisonment of up to 40 years. “All things considered, the evidence of the prosecution indubitably proved beyond reasonable doubt that the aforementioned elements of kidnapping and serious illegal detention obtain in the two cases at bar and the three accused should be penalized accordingly,” read the decision. The convicts were also ordered by the court to pay the amount of PHP300,000 each in civil indemnity and moral damages to the families of the two UP students. On Aug. 12, 2014, Palparan was arrested in a house in Sta. Mesa, Manila, after three years of hiding. He was arrested by virtue of an arrest warrant issued by the Malolos RTC in 2011 in connection with the charges filed by the relatives of the two missing UP students. He has since been held in detention at Camp Aguinaldo in Quezon City. In indicting Palparan for kidnapping and serious illegal detention charges, the DOJ held that he had a direct hand in the detention of Cadapan and Empeño based on the testimony of Raymond Manalo, a farmer. Manalo and his brother Reynaldo, were also abducted by alleged military officers from their respective houses in San Ildefonso, Bulacan in 2006. 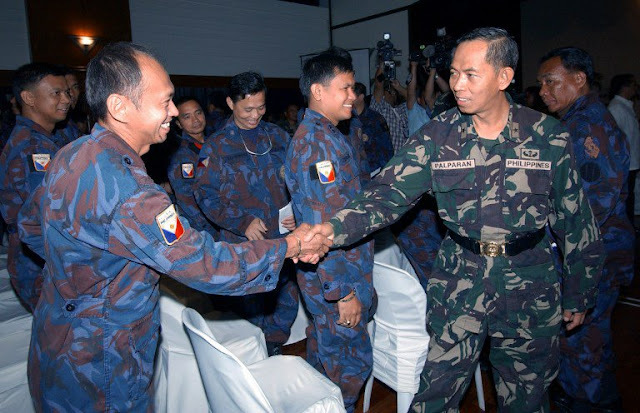 He said they were detained for more than one year in various military camps in Southern Luzon before managing to escape on August 13, 2007. During their detention, Manalo said he met and managed to talk to the two missing UP students, who were also being detained by Palparan’s men.